Our Tongue Sweeper Model T Sweep is similar to our Professional Sweep but does not have the medical coating. It is ideal for home use, also made of medical grade stainless steel with an ultra smooth cleaning edge. The Sweep has a colored silicone ring for personalization. The Model T like all Tongue Sweeper products is Made in the USA. 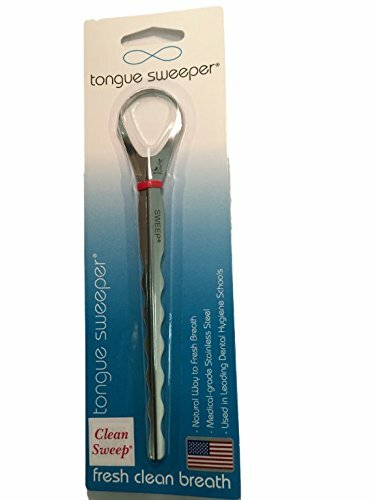 If you have any questions about this product by Tongue Sweeper, contact us by completing and submitting the form below. If you are looking for a specif part number, please include it with your message.